The solution provides data analysis to illuminate decision-making elements, such as case timing, resolutions, damages, and track records of opposing counsel, parties, and judges. 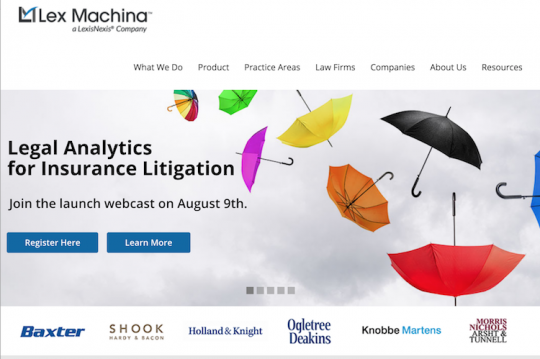 Lex Machina (Menlo Park, Calif.), a LexisNexis (Atlanta) company, has expanded its Legal Analytics platform to cover insurance litigation. 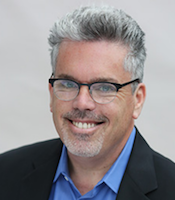 The vendor’s new module encompasses more than 92,200 cases pending in federal court since 2009 that involve disputes between an insurer and a policyholder, a beneficiary, or another insurer asserting the rights of a policyholder. Insurance cases represent the third-largest case set on the Legal Analytics platform, with court-awarded damages totaling nearly $2.8 billion. Owen Byrd, General Counsel and Chief Evangelist, Lex Machina. The Insurance Litigation module provides data-driven insights and trends to help litigators successfully prepare case strategies, and counsel their clients, according to the vendor. It covers a broad spectrum of policy types, including homeowners, automobile, life, commercial liability, professional liability, uninsured/underinsured motorists, health, disability income, and many more, with the exception of Medicare, Social Security and ERISA claims. The module focuses solely on insurance cases (including class actions) that were litigated in Federal District Court, in which parties that reside in different states dispute claims involving more than $75,000. As part of the product development process, Lex Machina reports that it interviewed experienced insurance litigators and insurance industry insiders to better understand the intricacies of insurance litigation and incorporated their feedback directly into the new module. As a result, Lex Machina has added 50 insurance case tags and annotations that enable attorneys to focus on the most relevant cases and filter out others—such as hurricane-related cases—that could skew the results. The new module illuminates the track records of opposing counsel and parties in these cases, the experience and behaviors of judges, and other critical factors, such as case timing, findings and damages, which play a critical role in determining case strategy, the vendor says. Legal Analytics for Insurance Litigation lets attorneys see all federal insurance cases in one place to help them prepare for cases—including those outside their familiar jurisdiction, according to a Lex Machina statement. Using the case tags and filters, attorneys are able to drill down into Lex Machina’s data to answer specific insurance litigation questions such as: “In which cases did insurers win in California because they had no duty to indemnify?” or “How often have claimants won a case because the insurer acted in bad faith?” The vendor asserts that Legal Analytics is the only platform that incorporates these filters into its offering.